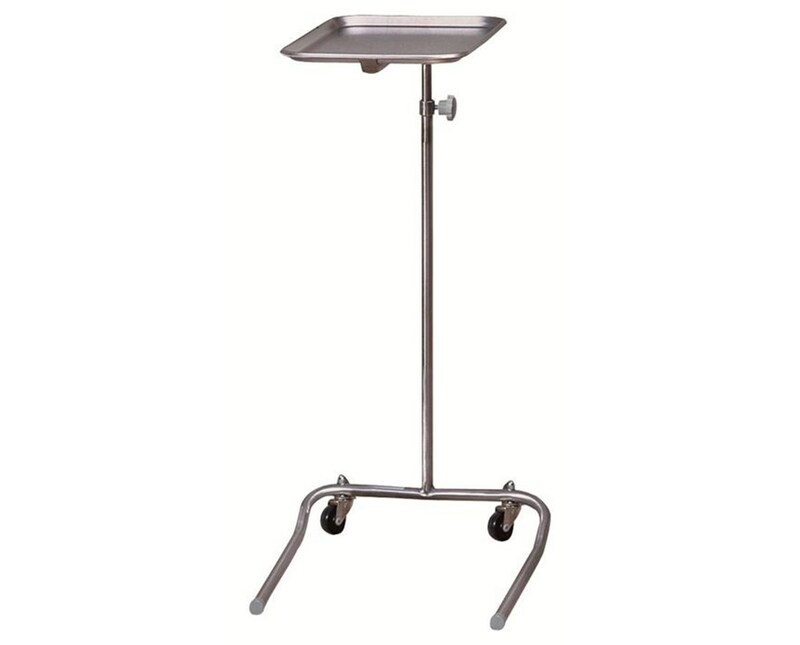 The Brewer 48461 Stainless Steel Mayo Instrument Stand is constructed of non-corrosive stainless steel, making the stand easy to clean and maintain, and exceptionally durable. It features one inch chrome plated steel tubing, twist-knob height adjustment ranging from 32" - 50" and removable stainless steel tray, making it ideal for surgical, dental, and medical procedures. It offers a single pole and U-shaped base, designed to minimize interference with equipment, patient, and personnel making it convenient and secure. 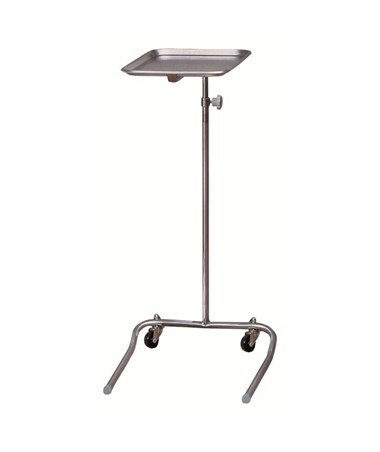 Stainless Steel Tray: 19.25" x 12.63" x .75"